I have been waiting all weekend to talk to you about Pinterest. Have you heard about it? If so, then you probably already love it as much as I do! If not, then you’re in for a treat. If you’re anything like me, your Google Reader Star function gets a workout. I can’t tell you how many times a day I “star” something that might come in handy one day or is inspiring to me. And every so often the Type A in my personality comes out and I get overwhelmed with how many things are on this list that haven’t been checked off yet! I have a hard time treating a list of any kind as anything other than a to-do list. 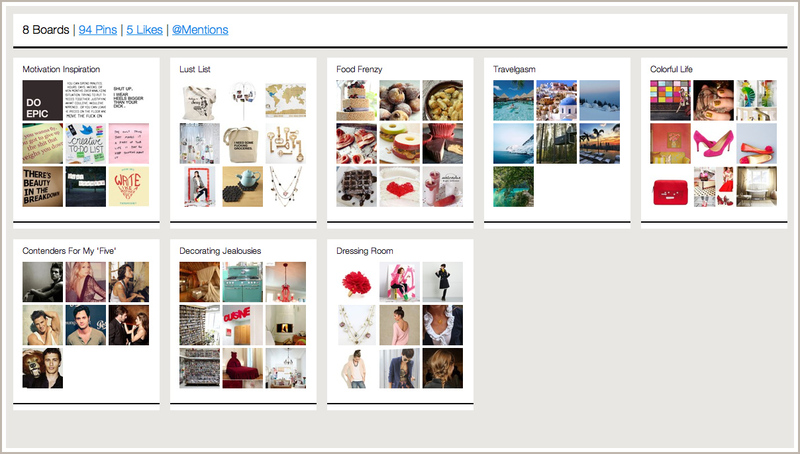 So, a while back I read about Pinterest on a blog that I follow – and promptly starred it. Then a couple of weeks ago, I read something else about it and finally figured out that I this was a bandwagon that I needed to jump. After perusing the website, I realized that this was the solution to my problem! Instead of clogging up my RSS feed with articles and blog entries that I might never get around to reading, much less finding in the midst of all of the OTHER articles and blog entries, I could “pin” something to a categorized board. Did you just go weak in the knees when I said categorized? Because I did, a little bit. And not only am I able to pin things that I run across on the world-wide web, but I can “repin” something that someone else has pinned on their boards. The possibilities for inspiration are pretty endless. So, after I realized the beauty of this invention I promptly requested an invitation and waited a few days before I was granted access. Once I got my invitation, I went to town with the pinning and now I’m a little bit in heaven! 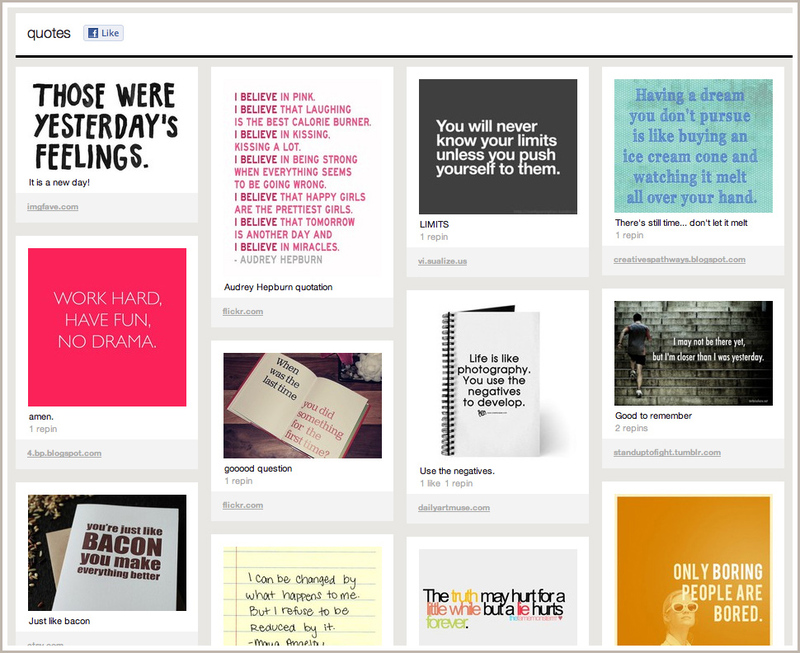 That’s why I’m devoting this week to Pinterest – and sharing favorites from my boards with you!